Back to school! Wait – don’t cry: we mean pirate school. Cutlasses and sea monsters! At Captain Firebeard’s School for Pirates, you won’t be cooped up in a classroom. You’ll be tying your favourite bandana, and taking lessons in walking the plank! But this term, something fishy is up aboard the Rusty Barnacle. Who is stealing sweets from Liquorice Len’s tuck shop? 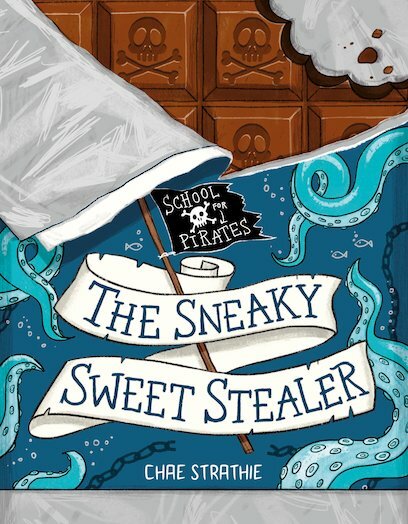 When Tommy and his mates get the blame, they decide to solve this swashbuckling mystery. But no one expects the culprit to be a hungry sea monster!